Back in the day, there were only a few things women used to do when it came to makeup, one of them being brows. I remember that my mom and aunts always had the Lakme eyebrow pencil (the only one available in India back then) in their stash and I used to watch them intrigued while they softly filled and shaped their brows. Over the years I never really understood the whole hype about doing your brows, until recently, when somedays I just filled them a bit (had some extra time) and I realized that it made a massive difference! I normally would use a matte brown powder, but when Maybelline came out with their Fashion Brow Duo Shaper I grabbed it asap and I loved using it. Of course, the Indian market has evolved since the Lakme pencil. 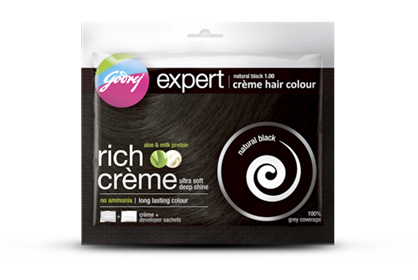 We now have soft browns and greys available which look more natural. 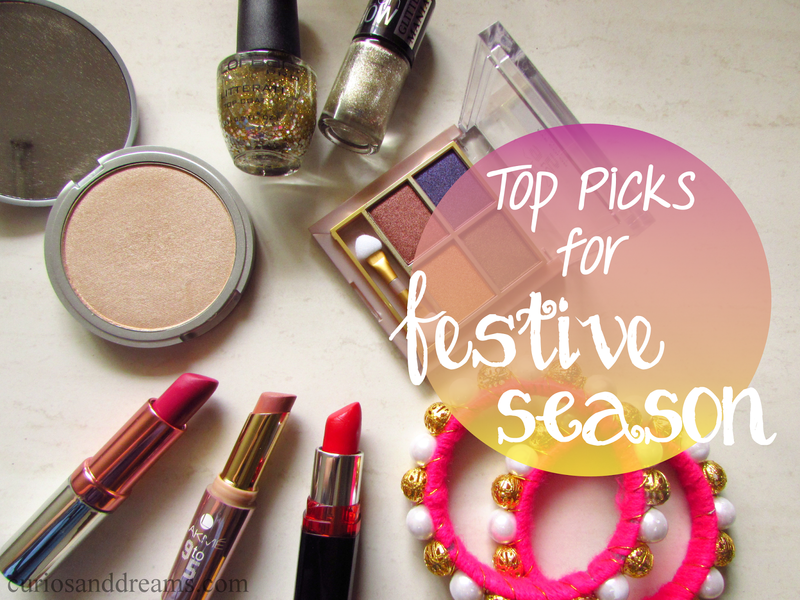 Even then, there aren't that many brow products available in the Indian drugstore sadly. 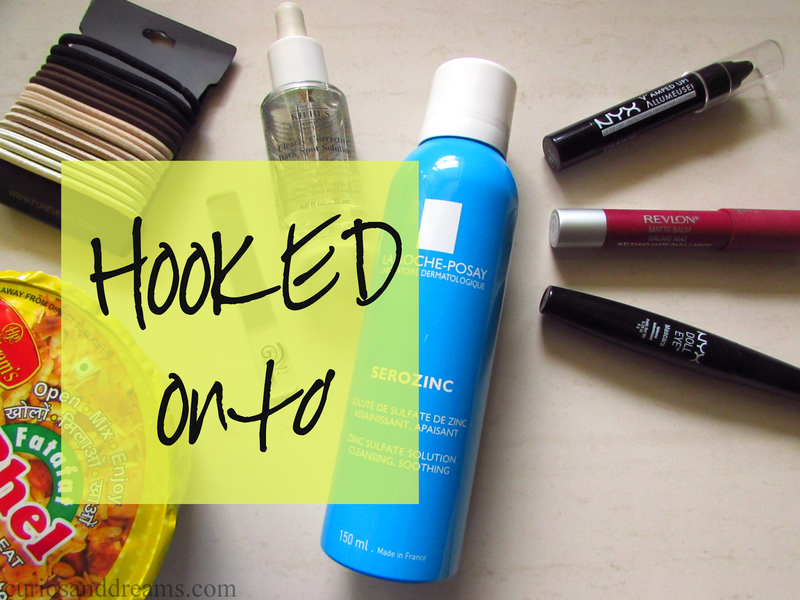 When the Maybelline Fashion brow got over, I looked around to try something new (not that I was not happy with the Maybelline one...the beauty blogger in me has to try out newer things!). 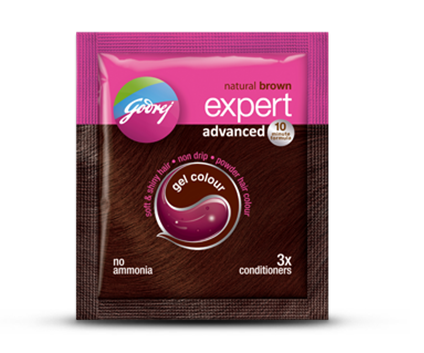 And in came the L'Oreal Brow Artist Genius Kit. 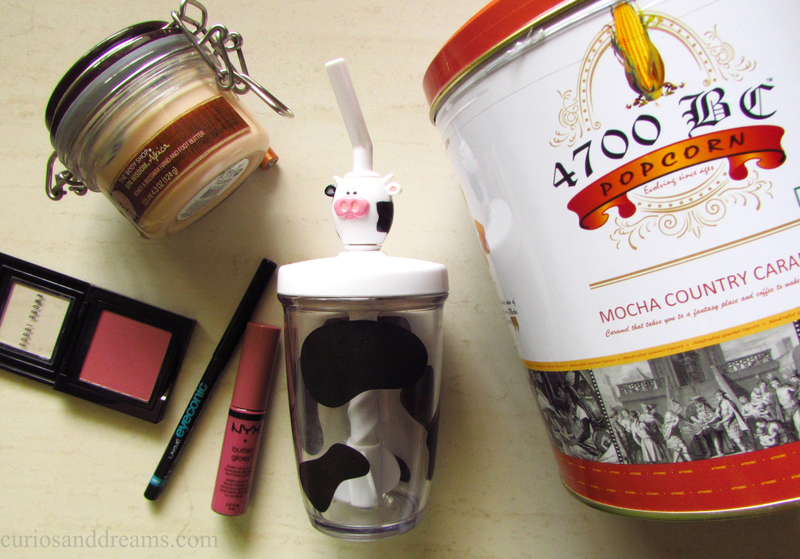 A haul post! I don't even remember when I had shared one last (you could search for "haul" in the search tab and take a look at the few we have shared). The truth is, I like to take my time before actually getting down to buying a product these days. And only if I think I need to try it out, will I go ahead and get it. So, random hauls on the whim are a thing of the past. But, there were quite somethings on my list for a while now, and I finally bought them over the past couple of months. 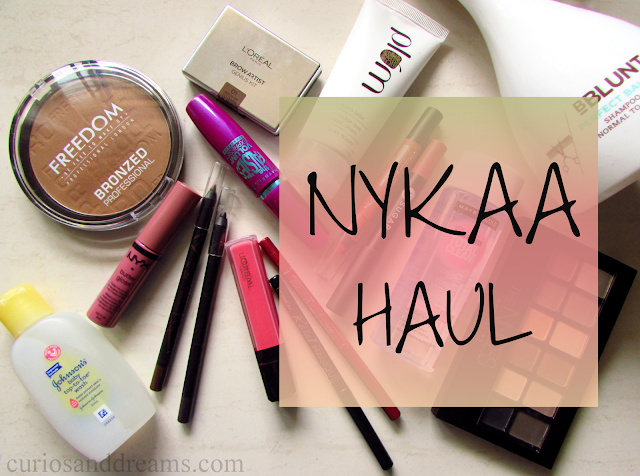 I always find the things I am looking for on Nykaa and lots of times they have good offers running, so here's a Nykaa Haul Post for you all. Take a look! We have had this one (yes, both Smriti & me have it..that is how much we love it) for so long and somehow, I never got down to sharing it with you all. Funny how sometimes the products that we like the most are negelcted as well. Anyway, here's MUA Power Pout in Broken Hearted. 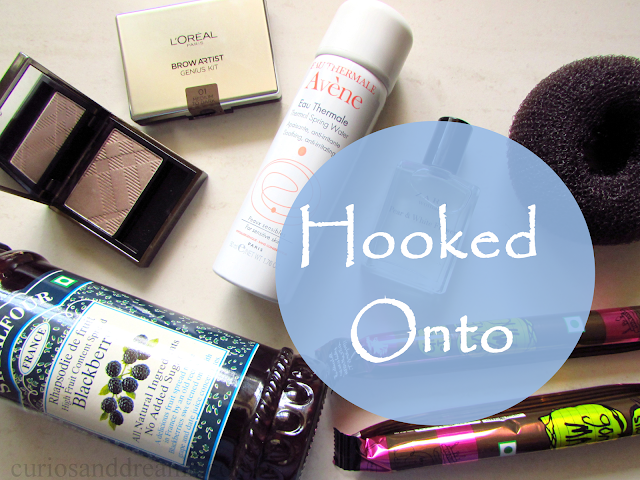 I don't even remember the last time I did a Hooked Onto post! I am so bad with these. Every post I promise to be more regular and I get super lazy again. Not that I lack things that I would be loving, just that I keep putting these posts off. One couldn't have merged brevity and truth better than this. The humble Bars of soap have been an integral part of our childhood and growing up years. It was the go-to solution, probably the only solution, of the cleansing regimen. Whether it be a Lifebuoy or a Lux, the occasional Liril or Cinthol, or for that matter the quintessential Pears, which always reminds me of my grandmom, as it has been her soap of choice for almost 20 years now (That's brand loyalty for you), these are our tethers to simpler times. As we grew up, body shampoos, bathing gels, body spa treatments and everything in between vied for our collective attention as they infused themselves with sometimes exotic and most times inane "natural" herbs and spices and elements. 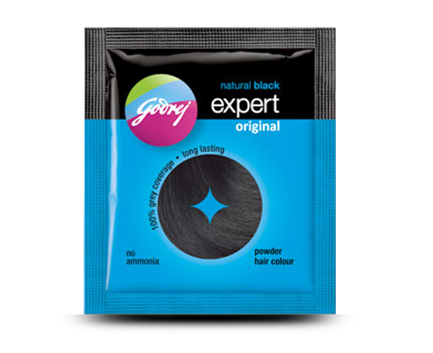 We've all tried it, We've all liked it to a certain degree as well, we've come out of the showers feeling relaxed, a bit more manly, a bit more exfoliated and maybe a bit more nourished as our preferences went. So when, on one of my e-commerce window shopping sprees, I chanced upon The Man Company's Charcoal soap AND it took me 2 minutes straight to throw my money at them. For the sake of full disclosure, the bar is black in colour and they had me right there. It arrived in a simple yet classy brown paper box and didn't have the slippery quality of other regular soap bars. After loving Red Velvet, I had to invest in some other variants of the NYX Butter Gloss. A quick search and I picked Angel Food Cake. (you have to give it to NYX for such delectable names!) 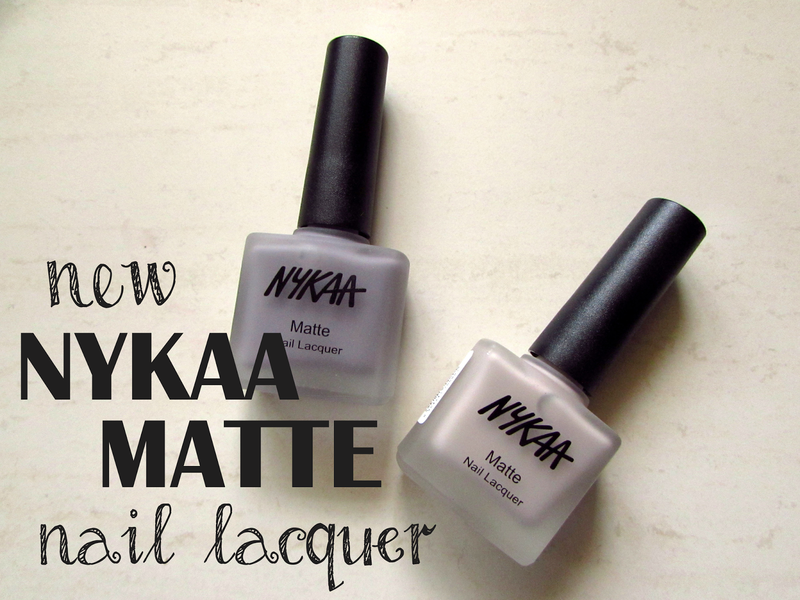 Read on to see how it looks! I know this one is not a new product. 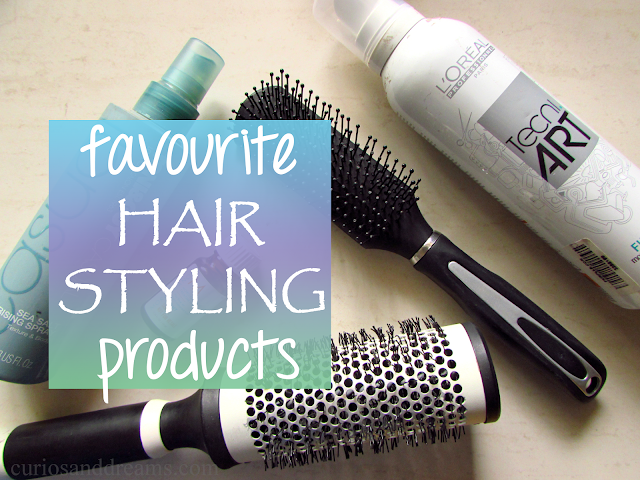 Most of the bloggers have used it, loved it and recommended it. I had the Maybelline The Nudes eyeshadow palette on my list for a while now, just took me a little longer to give in to it. I don't use eyeshadows on a regular basis, and while I do buy some singles every once in a while, nothing is better than a palette. It has many colors and finishes in one compact place and you can easily carry them around while on the go. Hello everyone! 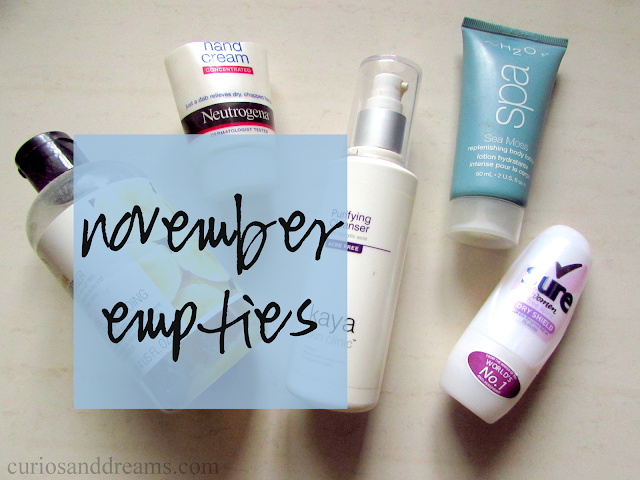 I have started doing these empty posts along with mini reviews of each product and I must say, doing these posts have really been super helpful. 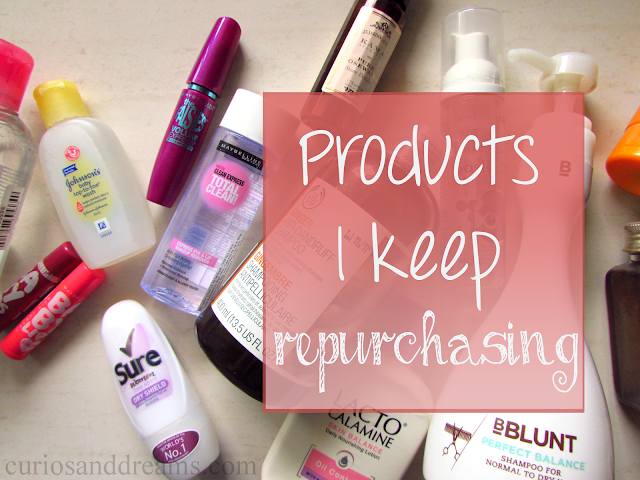 I have started using products more efficiently instead of just hoarding them. 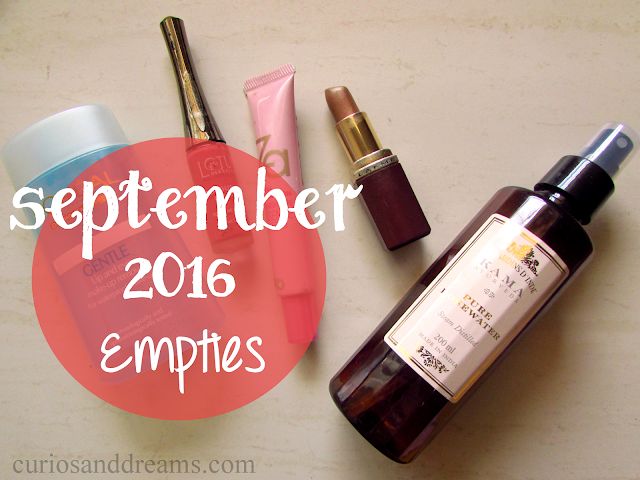 So, while I did the May and June empties, July was a bit of a downer since I didn't finish too many things. 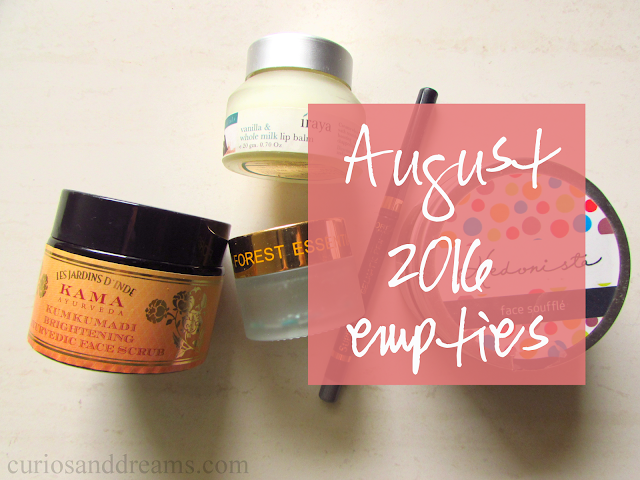 Anyway, here I am with the August empties! Take a look! Hello all! Hope you are having a good Monday. 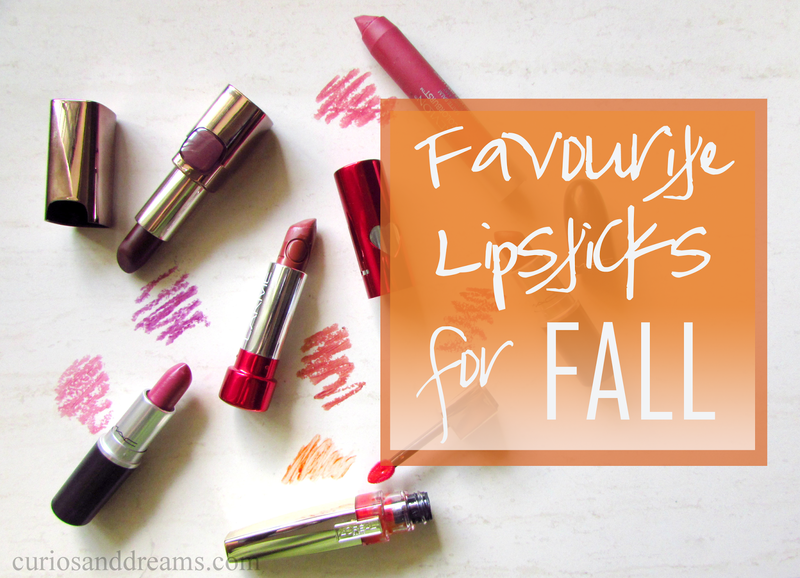 Today, I am writing about one of my most loved products. 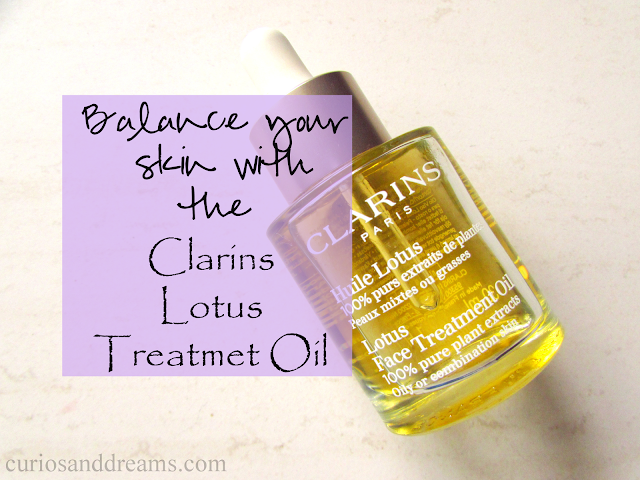 The Clarins Lotus Face Treatment Oil. I am a huge advocate of it and have convinced quite a few others to try it too, and most of them have loved it as well. 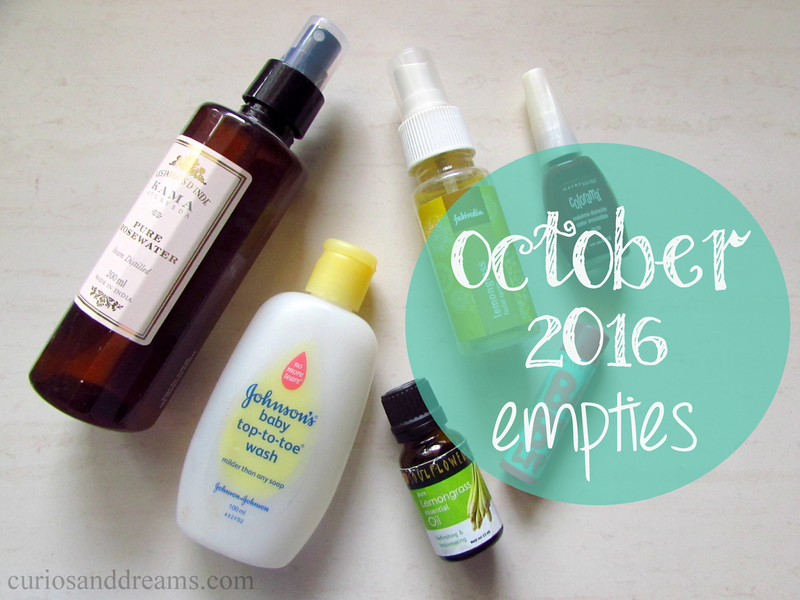 If I were to recommend one skincare product, it would be facial oils! 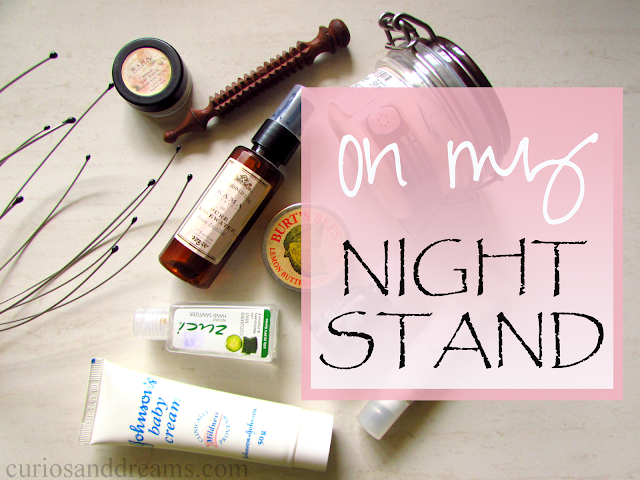 I have oily-combination skin and I never used to put anything on my face for a long time, even moisturizers. So, the thought of trying out an oil on my skin was sounded super crazy to me. But, I always battle acne on and off and I just wanted to give the Lotus Treatment Oil a try. After finishing a 2ml sample, I was so amazed that picked up the full size the very next day! After having had to battle acne a few months back, I have become a bit OCD when it comes to makeup cleanliness. Not that I wasn't concerned about it before, just that getting a new breakout ever 3 days made me keep my brushes in a squeaky clean condition. It was a preventive measure, just to make sure that they were not triggering the acne and now I have just got into the routine.